Get daily current affairs from The Tutors Academy. 1. 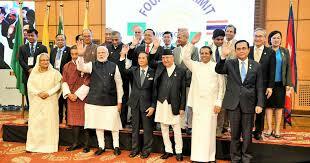 The BIMSTEC is a regional grouping, comprising India, Bangladesh, Myanmar, Sri Lanka, Thailand, Bhutan and Nepal. 2. In a heartening development for conservationists, a recent census has revealed that the population of the Nilgiri tahr (an endangered mountain goat) at the Mukurthi National Park (Tamil Nadu) has grown by an impressive 18% in the last two years, from 480 to 568. Daily current affairs for NDA, CDS, and AirForce. 3. Reservation is State-specific, but Delhi is a ‘miniature India’ where the “pan-India reservation rule” applies, the Supreme Court held on Thursday. 4. The Centre on Thursday announced another annual ranking of higher educational institutions, based on how they fare in terms of innovation. The new ranking – named Atal Ranking of Institutions on Innovation Achievements (ARIIA) – will be formally launched on October 15, the birth anniversary of former President APJ Abdul Kalam. The first results will be declared on February 28, 2019, which is also Science Day. 5. President Ram Nath Kovind has given assent to two land amendment Bills in Gujarat that propose to allot surplus agriculture land, meant for landless farmers, to industries and civic bodies. Daily Current Affairs from The Tutors Academy. The two bills are the Gujarat Agricultural Lands Ceiling (Amendment) Bill, 2015, and the Gujarat Agricultural Lands Ceiling (Amendment) Bill, 2017. 6. On August 1, 2018, the Central government approved a far-reaching policy that allows private and government players to explore and exploit unconventional hydrocarbons (including shale gas) in contract areas that were primarily allocated for extracting conventional hydrocarbons. Unlike conventional hydrocarbons that can be sponged out of permeable rocks easily, shale gas is trapped under low permeable rocks. Therefore, a mixture of ‘pressurised water, chemicals, and sand’ (shale fluid) is required to break low permeable rocks in order to unlock the shale gas reserves. The process requires around 5 to 9 million litres of water per extraction activity, posing a daunting challenge to India’s fresh water resources. 8. Due to delay in the issuing of adoption orders by the courts, children continue to stay in childcare institutions, even after getting a family. The Juvenile Justice (Care and Protection of Children) Amendment Bill of 2018 seeks to remedy the situation. In the best interest of the child, it proposes to amend the Juvenile Justice Act to empower the District Magistrate, instead of the court, to issue adoption orders. This would ensure timely processing of adoption cases and provide orphaned, abandoned and surrendered children with familial care and protection. The Juvenile Justice Act of 2015 introduces comprehensive provisions for children in conflict with the law and children in need of care and protection. It was enacted keeping in view the standards prescribed in the Convention on the Rights of the Child, the United Nations Millennium Rules for the Administration of Juvenile Justice, 1985 (the Beijing Rules), the United Nations Rules for the Protection of Juveniles Deprived of their Liberty (1990), the Hague Convention on Protection of Children and Co-operation in respect of Inter-country Adoption (1993) and other related international instruments. Get Daily current affairs and Updates from us to crack all Competitive exams. This refers to investing in stocks, or any other financial security, that only possess certain characteristics that are normally linked with the achievement of high investment returns. Some of the factors that underlie investments that have historically yielded high returns include low price in comparison to fundamental value, rapid and consistent growth in earnings, low debt, good management, small market capitalisation and increasing price momentum. Factor investing usually involves the study of quantifiable historical data in order to find the common underlying characteristic of outperforming securities. Get Latest News Updates and Daily Current Affairs from The Tutors Academy. 10. 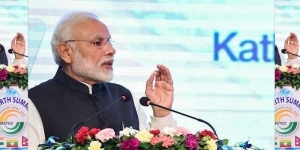 Prime Minister Modi said India will host the International Buddhist Conclave in August 2020 and invited all BIMSTEC leaders to attend the event as guests of honour. 11. China will join Russia in a giant military exercise, sending a message of deterrence to the U.S. which has designated Beijing and Moscow as “revisionist powers”. The Vostok-2018 will involve 3,00,000 troops. They will engage in tri-service mock-operations involving 1,000 military aircraft, two of Russia’s naval fleets and all its airborne units, Russian Defence Minister Sergei Shoigu said on Tuesday. Nearly 36,000 military vehicles will participate in the drills at Russia’s Tsugol training range in the trans-Baikal region. China will dispatch about 3,200 troops, along with more than 900 pieces of weaponry, as well as 30 fixed-wing aircraft and helicopters, Xinhua reported, citing China’s Ministry of National Defence. 12. Zimbabwe’s President Emmerson Mnangagwa has re-appointed as one of his Vice-Presidents a former military general who helped him come to power. Constantino Chiwenga had led the defence forces when the military rolled into the capital in November to pressure long-time leader Robert Mugabe to resign. 13. ONGC-owned Hindustan Petroleum Corporation Limited (HPCL) plans to merge its subsidiary Mangalore Refinery and Petrochemicals Limited (MRPL) with itself. 14. Chanda Kochhar has been reappointed as a director on the board of ICICI Securities with ICICI Bank, which has a 79.22% stake in the broking and investment banking entity, voting in favour of the reappointment. 15. The Reserve Bank of India has approved Rana Kapoor’s continuation as Yes Bank’s MD and CEO, till further notice, the lender informed the exchanges. 16. City-based Olympia Group has set aside a capex of ₹720 crore for the current year to set up two mega IT parks in Chennai on an area of 1.2 million sq ft, said a top executive. “The first IT park measuring 1 million sq ft of office space is coming up on an idle property of Exide Industries in Guindy,” said Ajit Kumar Chordia, managing director, Khivraj Tech Park Pvt. Ltd. and Olympia Infratech Pvt. Ltd.
Jinson Johnson, gold, men’s 1,500m. Women’s 4x400m relay (Hima Das, Saritaben Gayakwad, Poovamma Raju and Vismaya), gold. Men’s 4x400m relay (Kunhu Muhammed, Muhammed Anas, Arokia Rajiv and Dharun Ayyasamy), silver. Seema Punia, bronze, women’s discus. P.U. Chitra, bronze, women’s 1,500m. 18. NASA is set to launch the most advanced laser instrument of its kind into the space next month, to measure the changes in the heights of the earth’s polar ice in unprecedented detail. Meaning – giving the worrying impression that something bad is going to happen; threateningly inauspicious. Get daily current affairs, Latest news updates to prepare yourself for all competitive exams with The Tutors Academy.